I've taken some pictures of the 4th crossbow I just finished. That's a small crossbow (I wanted to parade on medieval fairs and stay on the belt). 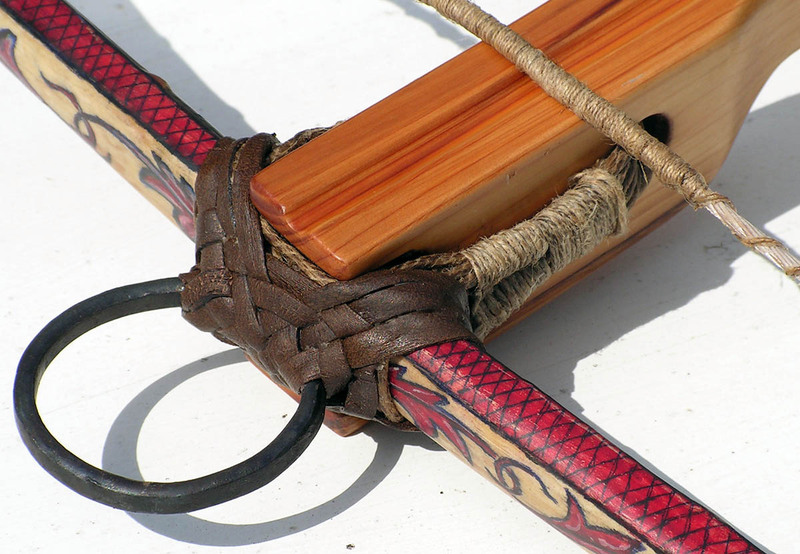 The tiller is made of yew and horn plates - the lever too - that's a composite painted bow (horn-bamboo-sinew). The bow isn't as strong as I thought first, it's 80lbs but that's good to bend with the lever (I wanted 100lbs or more, but not sure I could bend easily with the lever). 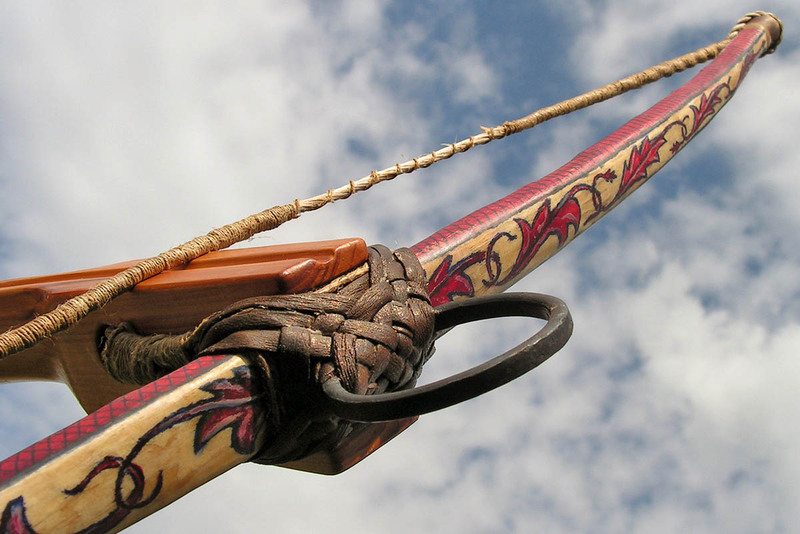 Magnificant bow, really love it. It might be a little narrow for a higher draw weight but I bet it shoots light weight bolts very fast. Real nice job Dark. I like the ornate appeal of it. I push 100# with my whippe. I like the way they work. I really like the looks of yours, my is not pretty. Yes, it's hard to find the good dimensions to make the desire draw weight. 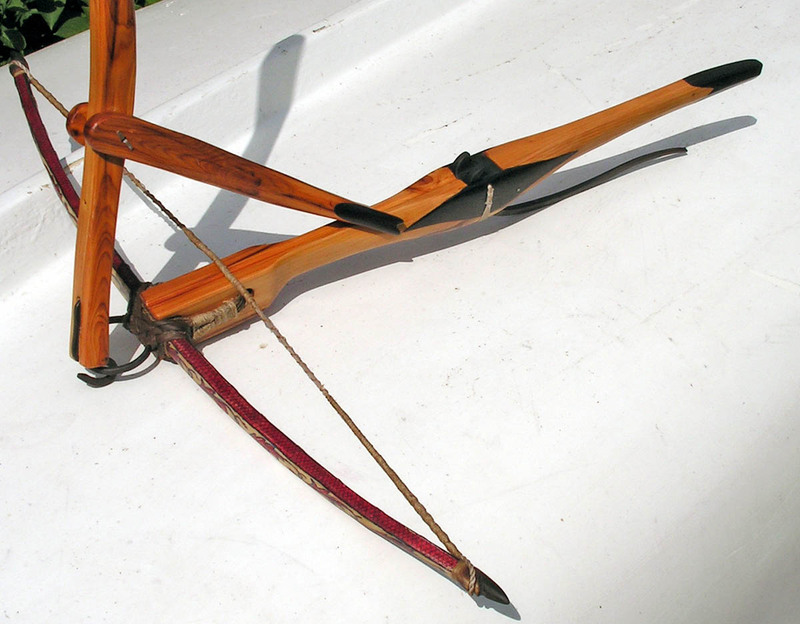 I generally make longbows or flatbows till 60-70 lbs @28", but small ones are very different during tillering. It seems very strong at low draw length so I imaigne it's too strong but I forget the final draw length is very short compared to classical bows. 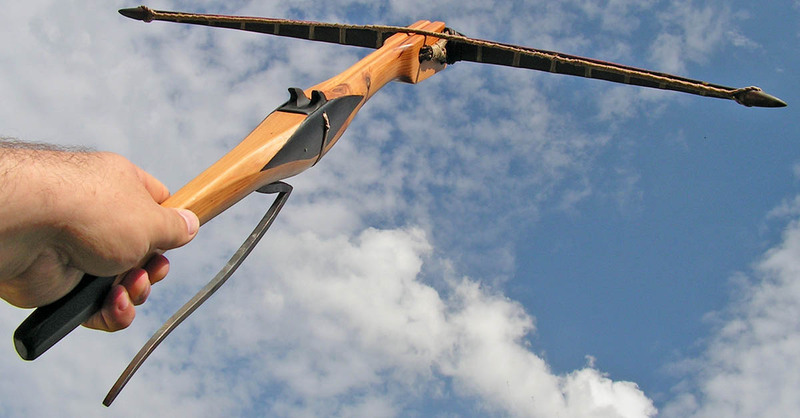 That's a great looking crossbow! Graceful lines, and I like the painting on the prod.